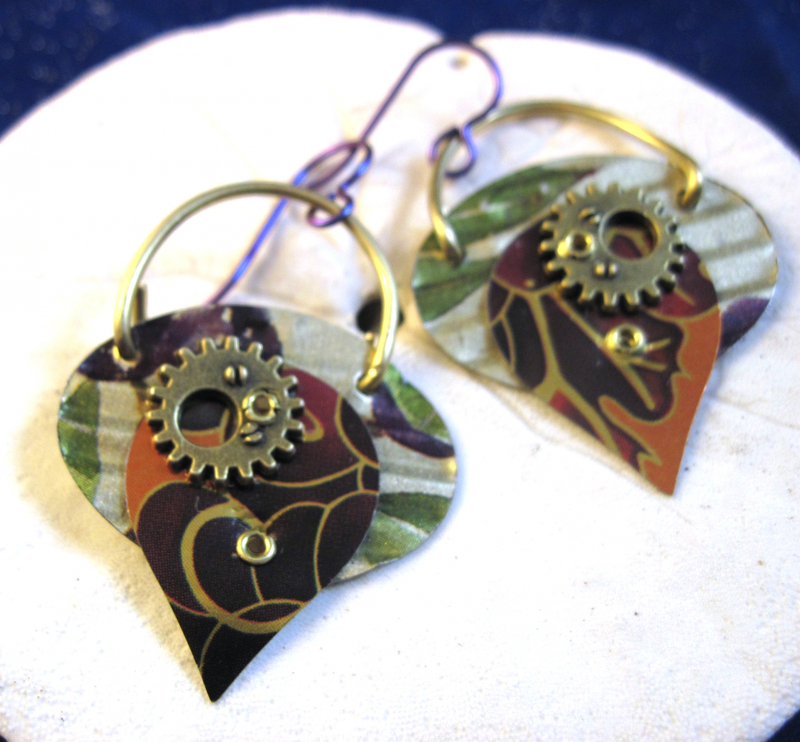 Two tins have been cold connected together to make these recycled steampunk earrings. The oval tin in the back has been corrugated so it is ruffled. 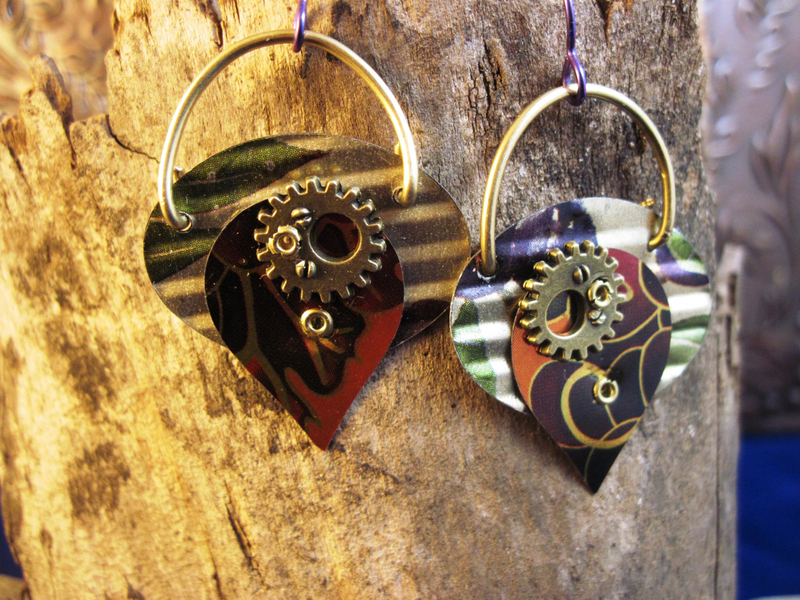 The front tin is an upside down tear shape and has a gear charm cold connected to it. 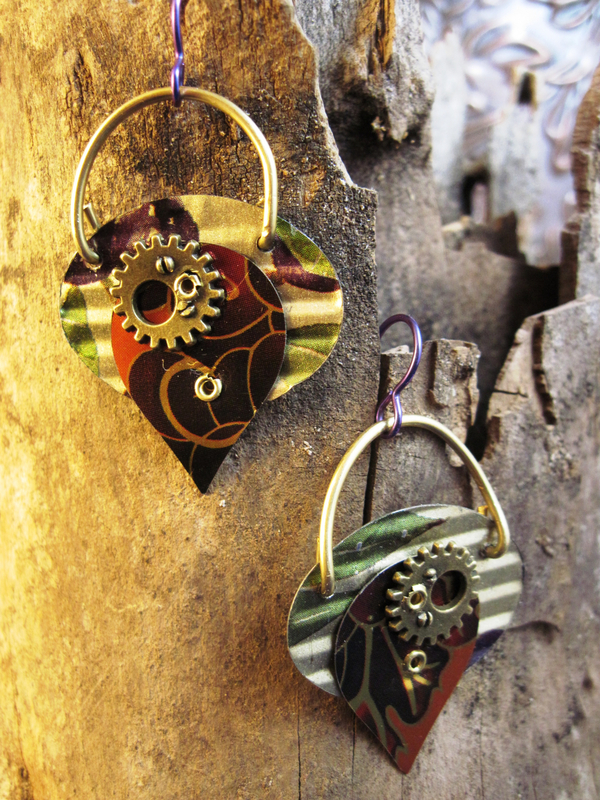 The tins hang from a brass wire in a hoop shape. 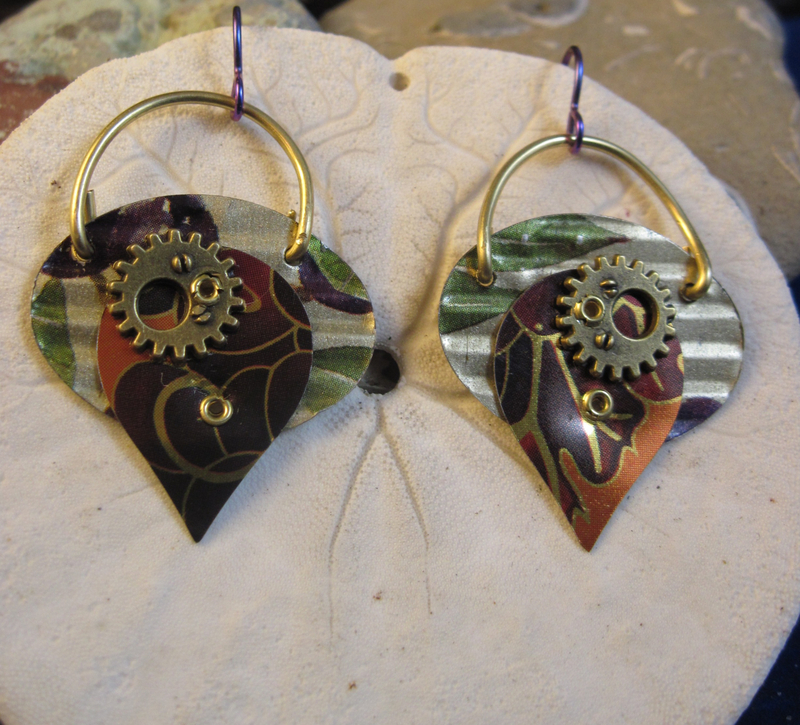 The earwires are niobium which is a hypoallergic element. 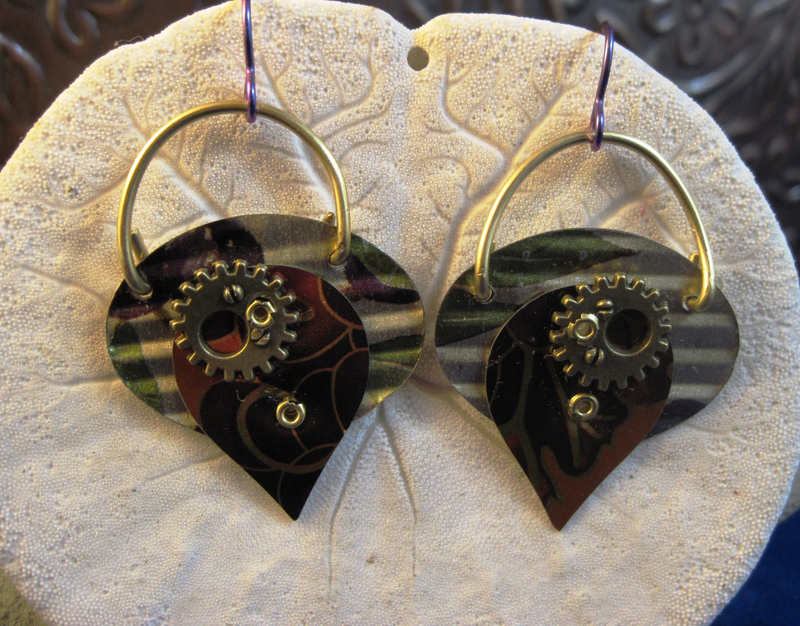 From the top of the purple niobium ear wires to the bottom of the tear drop is about two inches. 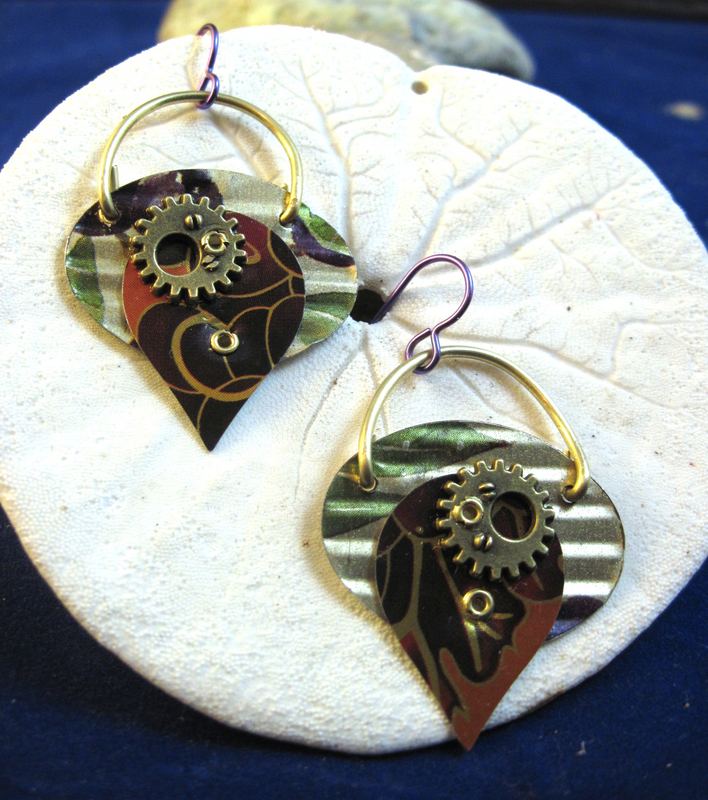 The width of the earrings is about an inch and a quarter.